Vitamin D is a surprisingly busy nutrient. At least 2,000 different genes—almost a sixth of our genome—are regulated in some way by vitamin D. Although it is most commonly associated with aiding in the absorption of calcium, the truth is that vitamin D is involved in a great deal more and is integral to getting your body to work at its full potential. In women, the importance is even greater thanks to improved understanding of how vitamin D affects reproductive health and the success of pregnancies. Vitamin D helps promote healthy bones by managing the absorption of calcium, as previously mentioned. However, there is an ever-increasing body of knowledge linking vitamin D to many other health benefits. For instance, vitamin D has been linked to managing high blood pressure and normalizing hypertension symptoms. It can stimulate the pancreas and has a role in regulating the immune system. It reduces the risk of colon polyps, heart attacks, multiple sclerosis, and rheumatoid arthritis. Vitamin D can even help alleviate bone pain. For women specifically, vitamin D lowers the levels of estradiol and progesterone in the body—two hormones of which high amounts can cause infertility. Another cause of infertility, polycystic ovarian syndrome, is also reduced by consuming proper levels of vitamin D. If the daily vitamin D intake is met, the handy nutrient can reduce the ability of genes linked to breast cancer to express themselves, thereby lowering breast cancer risk by up to 30%. When pregnant, proper vitamin D intake can help reduce the chance of the baby being born with skeletal malformations, brittle bone disease, or low bone density. With all of this in mind, it might be easier to list what vitamin D doesn’t help with! Unfortunately, people are increasingly at risk of vitamin D deficiency in this day and age. 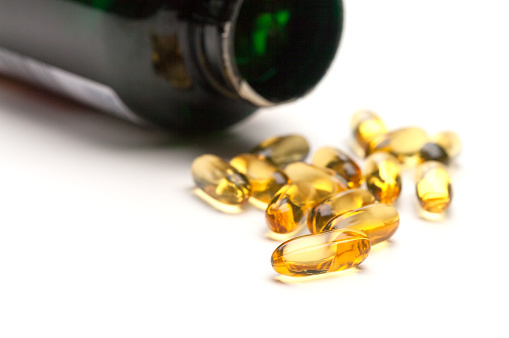 The problem is that vitamin D has very few dietary sources—mostly some fish oils and egg yolks. This is because the body generates most of its own vitamin D in response to sunlight exposure. As our modern lives mainly keep us indoors, it is less likely that people get the necessary daily sunlight exposure to keep their vitamin D levels in optimal form. This may seem paradoxical at first glance. After all, if dark colors absorb more light, and vitamin D is made in response to sunlight, shouldn’t dark skin make a vitamin D deficiency less likely? The truth is that the pigment responsible for dark skin—melanin—also reduces the ability of the body to create vitamin D in response to sunlight. The risk rate increases as people get older—placing dark-skinned elderly people at the highest risk. Almost all of the dietary sources of vitamin D are animal-based. Fish, fish oil, egg yolks, beef liver, and fortified cheeses and milk are the main ways to get vitamin D from food. Since vegans abstain from animal products, they are more reliant on sunlight to get the necessary vitamin D intake. Chronic medical conditions such as celiac disease, cystic fibrosis, or Crohn’s disease make it harder for your intestines to absorb vitamin D from food being digested. Fat cells have a habit of extracting vitamin D from the bloodstream to store for later. While normally not enough is removed to matter, those with a high body-mass index possess enough fat to noticeably lower their blood levels of vitamin D.
While already mentioned, it is important to go into this risk factor in further detail, since it is one of the most prevalent causes of vitamin D deficiency. 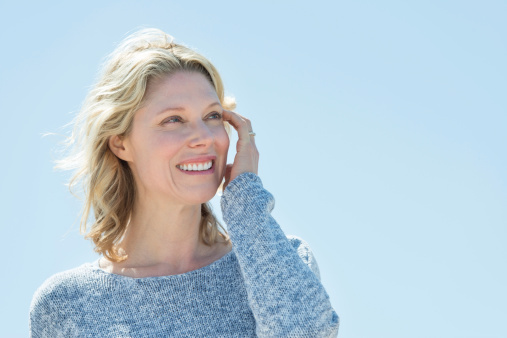 The body needs exposure to UV radiation—the thing that distinguishes sunlight from a light bulb—to make vitamin D. While elements like cloud cover and smog can reduce the amount of UV light that gets through to you, enough often remains to provide what’s needed. So, other than staying indoors a lot, what else can cause limited sun exposure? Sunscreen, body coverings, and windows. UV radiation does not penetrate glass very well so even if you are sitting by a sunny window your body is not producing much, if any, vitamin D. It takes being outside, when we tend to take cover in shade and apply sunscreen, to meet our body’s needs. As with any nutritional deficit, the treatment is to get more of what you’re missing. This can mean anything from taking vitamin D supplements, to adding more fish oil and fortified milk to your diet, to spending some time each day in front of a UV lamp. For the long term, though, the best solution is usually some degree of lifestyle change. Whether you drink more milk or take more walks outside doesn’t matter—so long as you are able to ensure the proper intake. The good news is that you have a lot of wiggle room in how much vitamin D you get. The ideal intake is anywhere from 600 (everyone aged one to 70) to 800 (adults aged 70+) international units (IU) of vitamin D per day. However, the upper limit on what is considered safe reaches into the 3,000-4,000 IU level. It is almost impossible to reach toxic levels of vitamin D in the body. This is because your body naturally controls its own production of the nutrient, leaving misuse of supplements as the only cause. It takes doses of up to 50,000 IU of vitamin D—over ten times the recommended limit—for several months to begin causing toxicity symptoms. While you should always talk to your doctor before taking supplements, simply following the directions will ensure you remain free and clear of any toxicity risk. Asprey, D., “The Top 5 Reasons Vitamin D Makes Women Bulletproof,” Bulletproof web site, May 31, 2012; http://www.bulletproofexec.com/the-top-5-reasons-vitamin-d-makes-women-bulletproof/. “Benefits of Vitamin D,” WebMD web site; http://www.webmd.com/food-recipes/vitamin-d-vital-role-in-your-health, last accessed August 3, 2015. “Vitamin D,” National Institutes of Health web site, https://ods.od.nih.gov/factsheets/VitaminD-HealthProfessional/, last accessed August 3, 2015. “Vitamin D Toxicity: What If You Get Too Much?” Mayo Clinic web site; http://www.mayoclinic.org/healthy-lifestyle/nutrition-and-healthy-eating/expert-answers/vitamin-d-toxicity/faq-20058108, last accessed August 3, 2015. 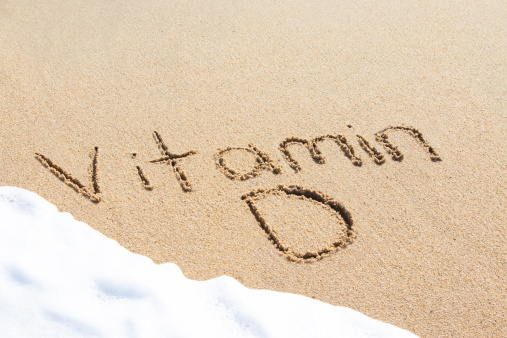 “What you need to know about Vitamin D,” Eat Right Ontario web site; https://www.eatrightontario.ca/en/Articles/Nutrients-(vitamins-and-minerals)/What-you-need-to-know-about-Vitamin-D.aspx, last accessed August 3, 2015.